We’ve created a new system for fine-tuning automated emails based on RSS feeds and have brought the customization area to a more advanced level. And that’s not all: now you can create multi-channel subscription pop-ups in less than a minute. After months of research and development, we are pleased to present the new version of the platform enriched with functional tools and areas. To make it even easier to automate emails based on RSS feeds. Collect new contacts from your site’s pages thanks to multi-channel subscription pop-ups. Manage dynamic content in the simplest and most immediate way possible, generating previews of emails for individual recipients or groups. Now that we’ve presented these great new aspects of MailUp, let’s go into more detail to show you their real advantages. 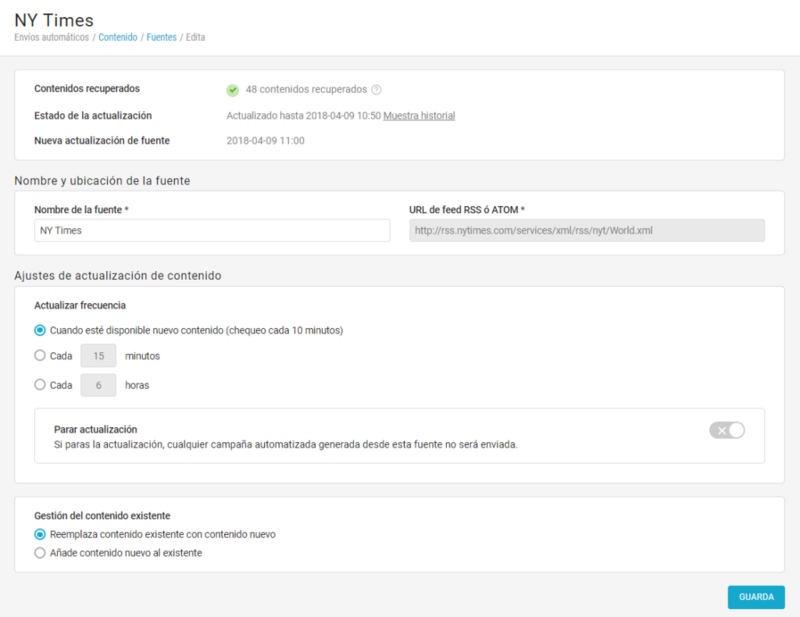 We have redesigned the entire area dedicated to RSS feeds and related automatic emails: a key section for forwarding info about updates to your site or blog in a timely and automatic way. 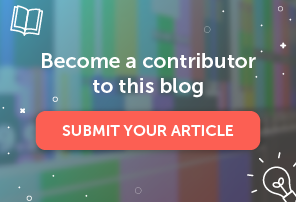 Just name the source and enter the URL of the RSS or ATOM feed, define the source’s update frequency, and choose whether or not to replace the existing content. Just bring up the previously created source, enter the subject of the email and the amount of content to show, and lastly choose the predefined or customized graphic template. The result? The best possible user experience managing automatic emails related to RSS feeds. Communicating updates to your site or blog to your recipients couldn’t be easier (how you want and when you want). Find the new area by clicking on the left menu: Automation > Content > Sources. 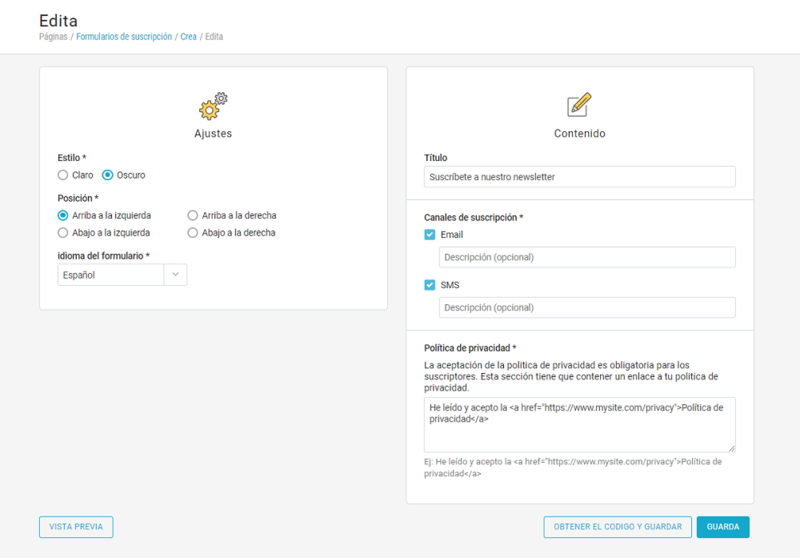 Small spoiler: in the coming months we will also offer the ability to choose from other types of source (file upload, API, Zapier) and other ways to use the content (including the newsletter created with the BEE editor). As you know, database building – that set of activities for adding new contacts to recipient lists and keeping them clean – is a strategic theme we have discussed at length from both a functional point of view and in relation to training resources in blog. 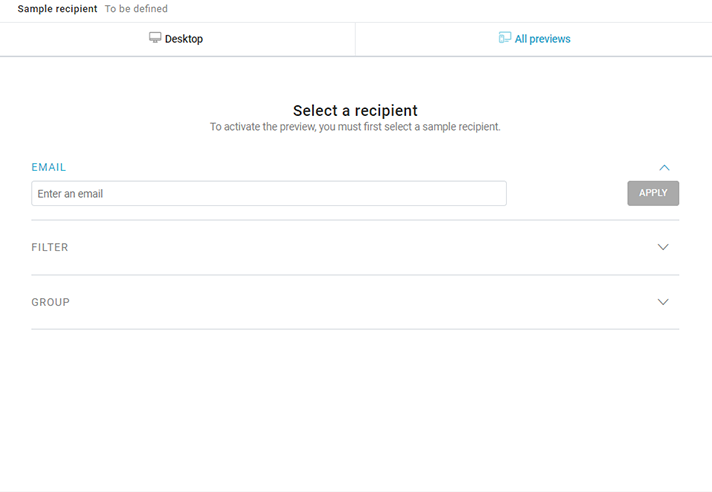 We have introduced a new tool on the platform: a system for creating pop-up subscription forms. In addition to being ready for use – you don’t even need simple drag & drop operations to make them – the new pop-ups are multi-channel: just check the box to automatically insert the email or SMS field (or both). Here’s another small spoiler: in the coming months we will include additional subscription channels, for example messaging apps; we’ll tell you about their integrations with MailUp as soon as we have all the info. Once the pop-up has been created, you can get the code to add to the site, blog, or any other type of page (after checking its preview of course). This is a fundamental feature for those who rely on dynamic content to send customized emails with recipients’ personal details, preferences, and behaviors, such as e-commerce sites. A category of recipients, by selecting an existing group or filter (to see for example how the email will look in men’s or women’s inboxes). Thanks to the features and tools we constantly invest on with research and experimentation, with MailUp you can do this and much more. 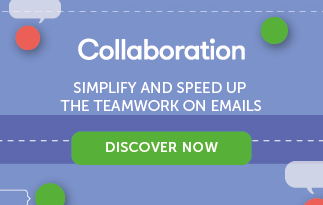 Haven’t tried MailUp yet? This could be the perfect moment. Ask for a free trial of the platform to try all its features for free for 30 days.